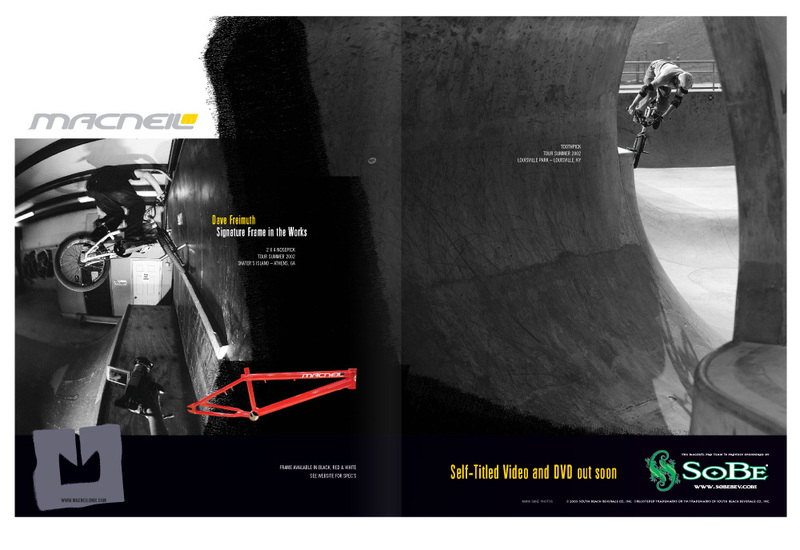 Double-page spread ad for the new Dave Freimuth signature frame; featuring rider Alistair Whitton. 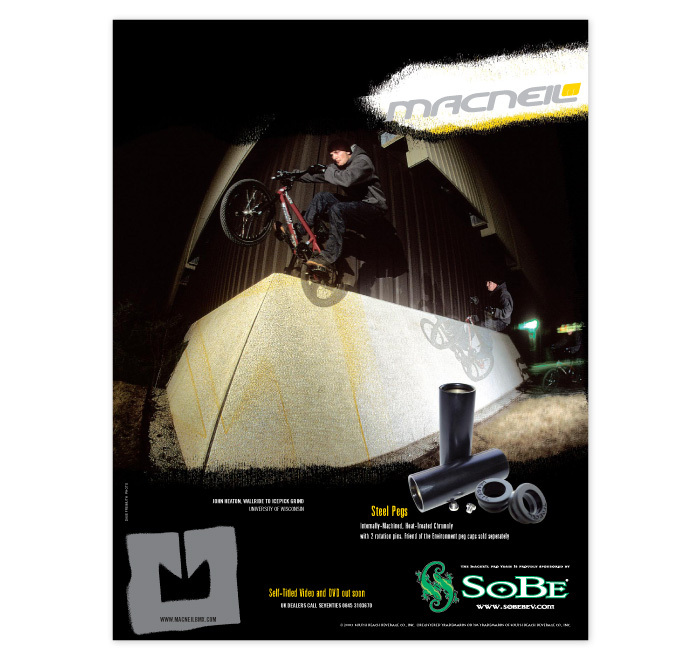 Ads for MacNeil Bikes, and the MacNeil/SoBe Pro Team, which appeared in about a dozen magazines worldwide such as RideBMX Magazine, Transworld BMX, Dig BMX, RideUK, Cream, Freedom and 20/20. 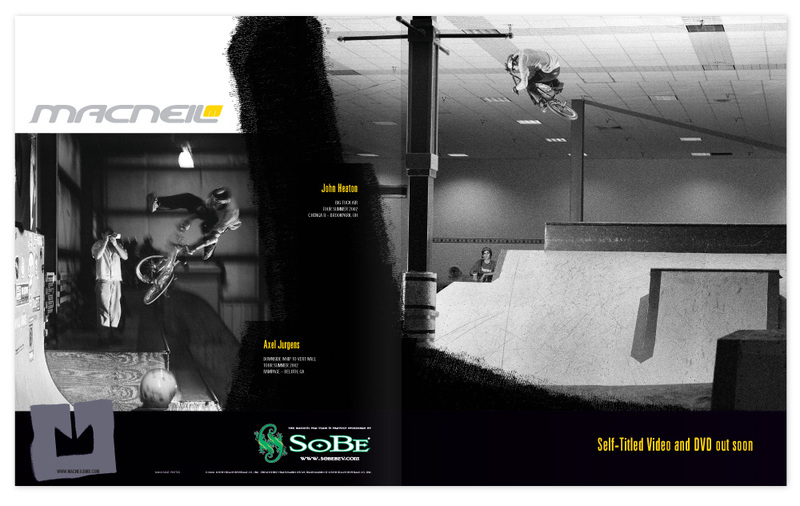 Double-page spread ad for the new MacNeil self-titled DVD; featuring riders Axel Jurgens and John Heaton. 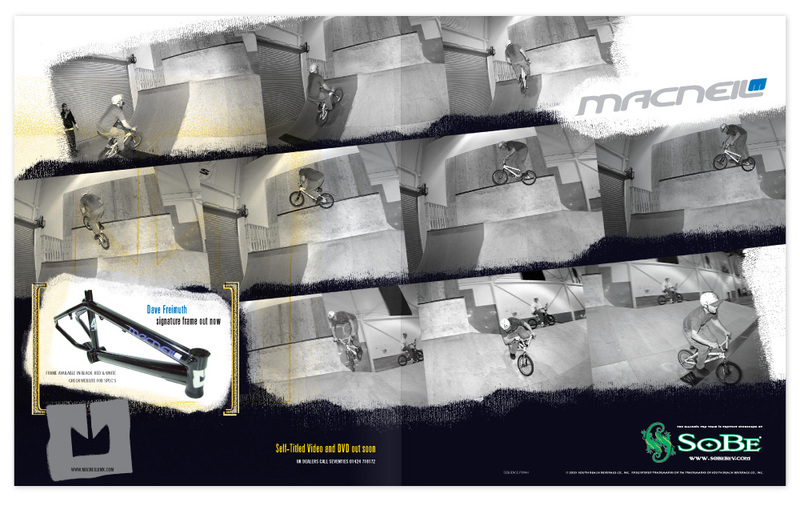 Double-page spread ad for the new Dave Freimuth signature frame; featuring rider Dave Freimuth. 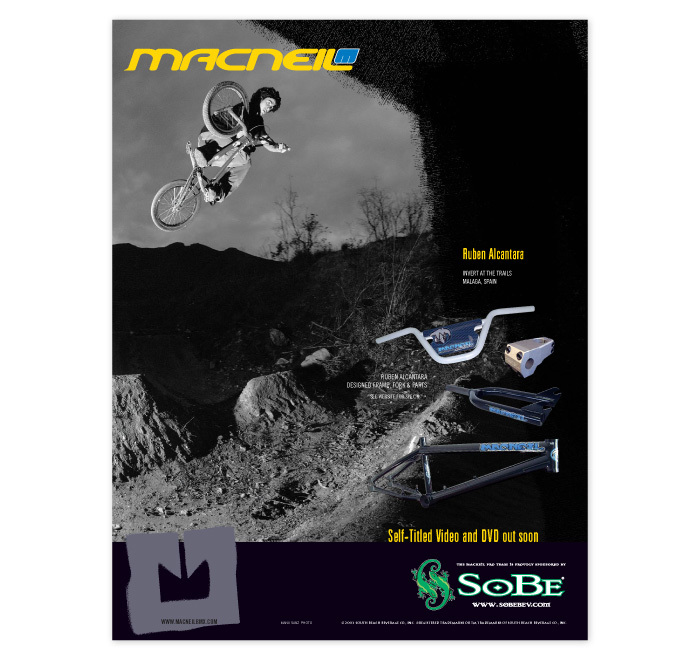 Ad for the new Dave Freimuth signature frame; featuring rider Dave Freimuth. 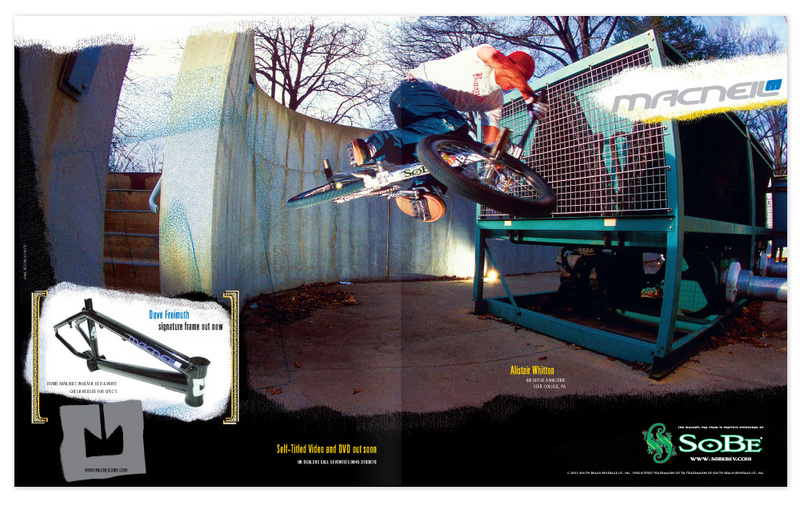 Ad for the new light park pegs; featuring rider John Heaton. Ad for the new line of Ruben Alcantara signature parts featuring rider Ruben Alcantara. 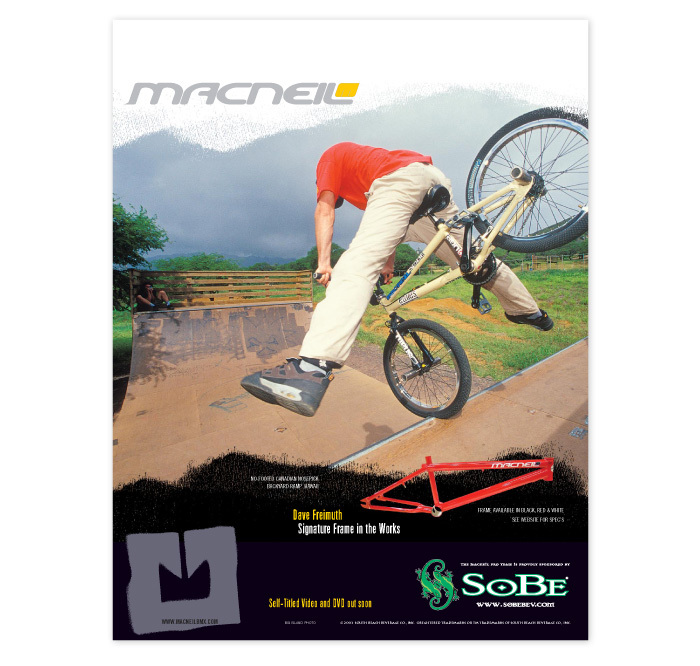 See also MacNeil Bikes 2007 Catalogue and The MacNeil Video DVD packaging.